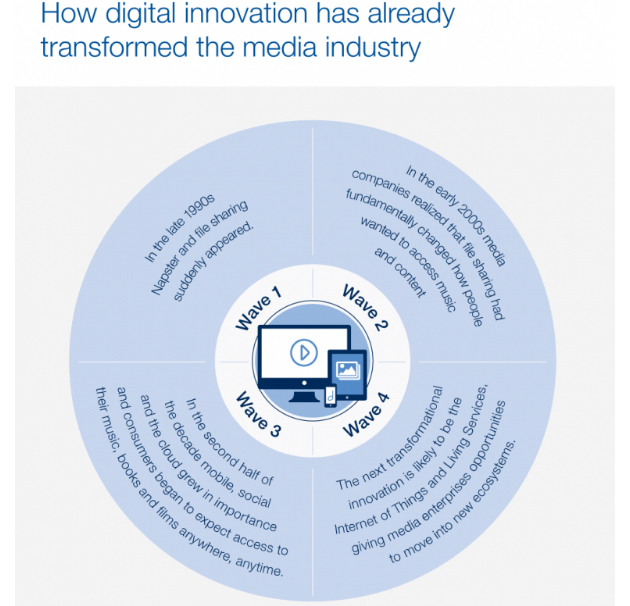 Why the Media and Entertainment Industry Needs a Digital Agency? Do you belong to the media and entertainment industry? Then you may already know how consumer media habits, as well as expectations, have changed. Now, compared to Television, content is being increasingly consumed by smartphones and computers. People are opening their preferred news app on their tablet ditching the newspaper and instead of joining cooking classes to learn how to cook, people are turning towards YouTube videos. In this post, we will discuss the media and entertainment industry trends that are shaping the future of this industry, how digitization is playing an important part in it and why a digital agency is what you need. Have you partnered with a digital agency yet? If not, then it’s high time that you do so! A digital agency offers all the services that you need to make it big in the media and entertainment industry. Want to know how? Read on. Virtual reality (VR) has now become one of the hottest topics across a number of industries. According to a report, by the end of the year 2022, the value of the global VR market will be more than USD 26 billion. Now that’s a huge amount of money! With the emergence of technologies such as YouTube 360 and Facebook 360, people can interact with content from far away through immersive and natural human experiences. If you want to stand out from your competitors, the best thing that you can do right now is to think of ways how you can use this technology to the fullest. And when we are talking about VR, what’s better than hiring a digital agency? A digital agency can help you with VR apps and games specific to your business type and make your business the talk of the town! Don’t you want that? As your business falls under the media and entertainment industry, wouldn’t it be great if you could have an insight into your consumer behaviour across a variety of channels and devices? Well, digitization has made it all possible! Now, if you already have a business website, with analytics and data collection, you can know about the number of your users, the geographical location of your users, which pages of your website are the most-visited, duration of each session, bounce rate, your visitors’ journey, exit pages, which buttons of your website are clicked, from which channels your users have come – and many more! Hire a digital agency and see your business sky-rocket! In the year 2015, the amount that was spent on Artificial Intelligence (AI) was $300 to $350 million. And it is expected that by the year 2015, the AI market will reach $30 billion. Yes, you read that right! AI is all set to change the entire creative process. In order to create effective movie plot points depending on box-office performance, some companies have already started using AI. It has made it possible to create movie trailers in a far less time than the traditional method. And it’s not just in movies, AI can be used in image recognition, language processing, deep learning as well as speech recognition – there’s actually no end to the way how Artificial Intelligence is laying an impact in the creative process in the media and entertainment industry. If you don’t want to fall behind, partner with a digital agency and ask them to make use of the AI technology in apps and games related to your business in media. This will attract more and more customers, giving your business a huge boost. The power of mobile and social is transforming the way how media is consumed as well as perceived. With instant and continuous access to media content through smartphones, tablets and laptops and by sharing it on social media platforms, your consumers have the power to destroy or promote your brand or organization. The majority of the entertainment sector market share is captured by the social media applications. Some of the most popular areas include online music applications, mobile gaming apps and live streaming of TV shows. This makes it all the more important to have a mobile app for your business. With an app, you can enhance your social networking strategies, increase your visibility, reduce your cost, reinforce your brand, build client loyalty, engage your customers and be with your customers all the time. And all these can be done perfectly by partnering with a digital agency. We are an award-winning digital agency focusing on marketing, branding, web design and development with clients all over the world – ranging from start-ups to fortune 500 companies. We take pride in partnering with the clients in order to provide them with the most transparent as well as the best experience – from scoping to deployment. Want to partner with us? Give us a call now!